Thailand is the land of thousand smiles. Thailand boasts an enchanting combination of some of the world’s best beaches, awesome landscapes and fabulous arrays of hotels ranging from simple to stylish beach or city hotels to luxury resorts. So, what if you want to have a vacation in Thailand? There are some simple guidelines to follow and documents to be prepared before you board the plane. 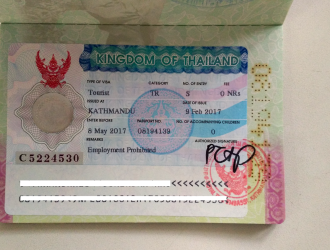 If you are visiting Thailand as a tourist for the purpose of travel, leisure, sightseeing, or shopping, you need a tourist visa in order to enter the country so that you can legally stay over the period of 15 or 30 days. Tourist visa can also be extended as necessary. Tourist visa can be obtained from the Thai Embassy in Bansbari, Maharajgunj. Round trip printed plane ticket and a photocopy of it. NRs 3600 for visa fee, plus NRs 100 bank fee. Make sure you have all above documents ready before you visit Thai Embassy for visa application. Check, if all the requirements are met before you submit the visa application. Submit the completed application form with document above. Collect your visa and passport after two working days from the embassy. Thai Embassy doesn’t accept cash for visa application, instead, you have to visit Bank of Kathmandu nearby the embassy to deposit the visa fee and small fee of Rs 50 in the bank’s counter. You will be handed with a cheque confirming your payment for the application. Take this cheque along with your documents and visa application form to the embassy and submit for verification. The officials will ensure you have all documents in order and have met all the requirements to further process the visa application. Come back to collect your visa from the embassy on the day stated with the receipt you were given during the application was submitted. Upon collecting your visa and passport, ensure you have all your details are correct in your visa before you leave the embassy. At President Travel and Tours, we understand that you are in holiday mood and don't want to ruin with hassles involved in the process, therefore we are happy to apply your Thai tourist visa for your convenience, with no extra charges or fees if you are buying Thailand trips with us. 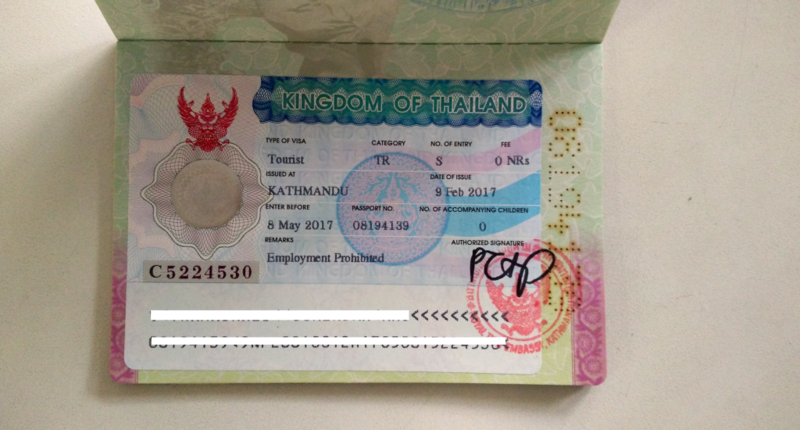 If you are only applying for Thai visa, we normally charge NRs 1000 as a service charge. Thai visa application is easy from President Travel and Tours..!! NS: President Travel & Tours also helps you with visa application in other countries, please contact us if you are having difficulty in visa application. any dollar change is required?? How many days does it take to get a visa for Thailand for a Nepali citizen. We want to go to Thailand for 10 days in January 2018. Can we apply January 1 st at the Thailand embassy? If so , how many days will I get my visa? how can i get visa if i’m in out of Nepal and if i have round trip ticket booking then is this still need hotel booking receipt for visa ? How much amount in Nepal bank required in account for thai visa.